Mug cakes are perfect for sweet cravings. It can be made in just 2 minutes and needs very less quantity of ingredients. 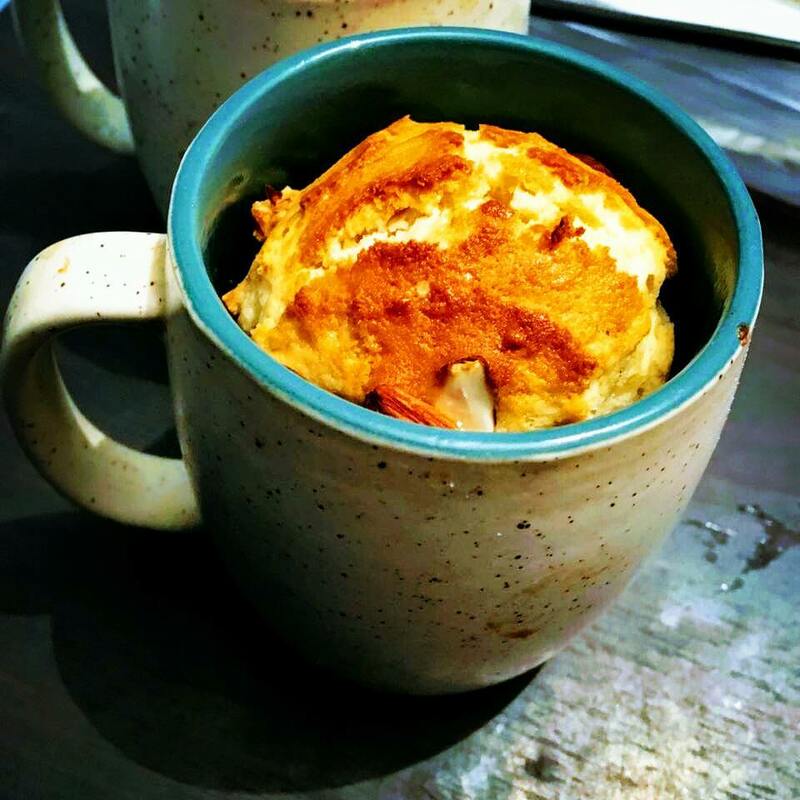 So.. next time when you are craving for cake make this instant mug cake and enjoy. -In a small bowl add Maida,Wheat Flour, Baking Powder, Baking Soda and salt and mix it properly. -Now add powdered sugar, egg, butter and milk. Mix it properly and see that no lumps are formed. -Add a drop of vanilla extract to the batter. The batter should be of smooth consistency. -Pour the batter into a greased mug. Don’t fill the mug completely as the cake will rise. -You can put the remaining batter in another mug. -Microwae it for 2 minutes at 900W. -Your mug cake is ready. Enjoy this instant mug cake anytime. Oh yeah BTW Happy February guyzz.. Coming up with more interesting recipes this month.